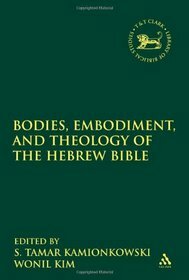 “Emotion, Embodiment, and Ethics: Engaging Anger in Genesis.” Pages 146-158 in Bodies, Embodiment and Theology of the Hebrew Bible. Edited by Tamar Kamionkowski and Wonil Kim. Library of Hebrew Bible/Old Testament Studies 465. New York: T & T Clark, 2010. This essay provides a summary of my findings in From Fratricide to Forgiveness.